One of my favorite picture ! We can feel love here so much ! 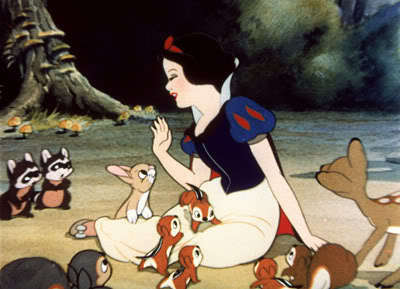 Yes!And I adore the animals!The little rabbits!OMG!It's so sweet and full of love! Look the rabbit how he looks at her :) !! He is enchanted like us! Me too!I had one,but one day he left...Maybe he was scared of something...Who knows?But he was so little and cute! so lovely one named Fanny ! Lol!My dog doesn't like other animals...She wants all the attention!